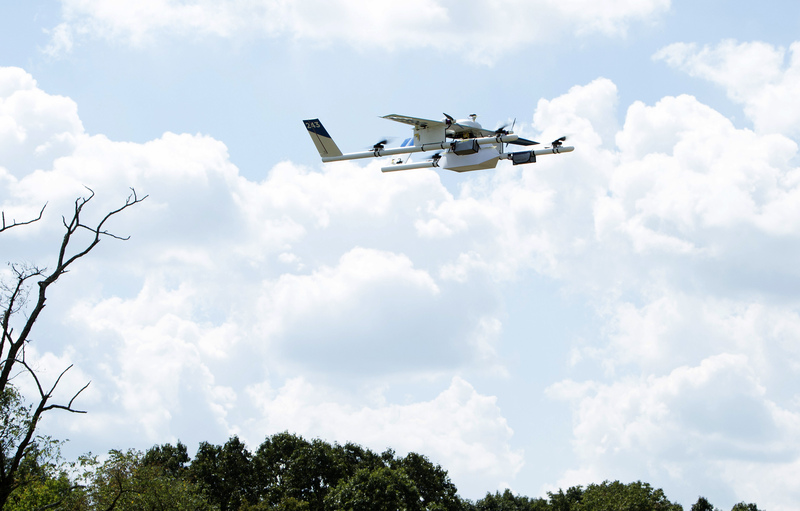 Things have apparently gone from bad to worse for Alphabet’s Project Wing drone initiative in the wake of project leader Dave Vos’ departure last month. People familiar with the matter tell Bloomberg that since his departure, the X research lab has frozen hiring and even asked some staff to seek jobs elsewhere in the company as part of a larger initiative to curb spending and turn more experimental projects into real businesses. As the publication correctly highlights, the research unit initially wanted to use drones to deliver health-related items like heart defibrillators and medicine. Once those plans were nixed, the X lab looked to food and other perishable items. Just a couple of months ago, Project Wing teamed up with Chipotle Mexican Grill to experiment with delivering food on college campuses. The unit was also apparently in advanced stage talks with Starbucks but the deal eventually fell apart as the two sides couldn’t come to terms regarding access to customer data. Project Wing isn’t the only Alphabet division to come under financial scrutiny as of late. Roughly two weeks ago, Google pushed pause on plans to roll out fiber Internet service in new cities. Craig Barratt, CEO of Alphabet's Access division running Google Fiber, said its subscriber base and revenue are growing quickly. His explanation for the paused rollout? A shifting strategy. Drones may very well be the next big thing in technology but there are plenty of hurdles that must be overcome for that to become true – chief among them being regulatory hurdles. The US government has made progress in the area of commercial drone usage yet even still, some companies have turned to other countries where regulations are less restrictive to further develop and test their drones.